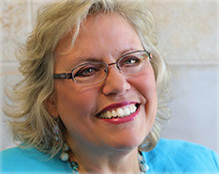 Carla Ruiz is a Facilitator and Leadership Coach for InnerWill. She is an enthusiastic and passionate speaker who connects with and engages her audience through candor, humor and real life examples. Through her transparent style, she provides practical ways to make learning actionable. Carla collaborates with her clients to determine how she may best serve their goals and objectives and customizes her topics to meet their needs. Carla’s personal purpose is to fuel growth and development, allowing individuals to be more aware, engaged, and effective in every aspect of their lives. She presents, facilitates, and coaches in a variety of leadership programs and with companies intentional about strengthening their culture, which, in turn, positively impacts business performance. She is passionate about increasing emotional intelligence, which she believes is the cornerstone of effective leadership. Carla’s background in psychology, education, and group facilitation was instrumental in establishing and leading two chapters of an international educational organization over a period of ten years. Her present clients include senior executives, leaders, and managers in profit and non-profit businesses; she has presented to a variety of organizations. An ICF Certified Coach (PCC), she is accredited in the Hay Emotional and Social Competency Inventory (ESCI) and is an Insights Discovery Licensed Practitioner. Her active involvement in the ICFVA (International Coach Federation, Virginia Chapter) has included serving on the board. In her spare time, she loves to travel with husband Joe and enjoys being outdoors, exercising, reading, and connecting with friends. Carla is an enthusiastic speaker who engages audiences through candor, humor and real life examples. Her transparent style allows her to connect with her audience and to provide practical ways to make learning actionable. Recognizing people have different styles, Carla uses a variety of activities to effectively communicate. Her curiosity and listening skills allow her to collaborate with clients to determine how she may best address their objectives and customize her presentation to meet their needs. Carla’s personal purpose is to fuel growth and development, allowing individuals to be more aware, engaged, and effective in every aspect of their lives.